This month, we are introducing the gorgeous Build-A-Flower: Dahlia! This Build-A-Flower set features two beautiful Dahlia flowers drawn in a loose painted style. Each flower has four layers, an outline layer, and three coloring layers. None of the coloring layers completely cover the entire flower, which leaves beautiful white highlights. We have included three sets of color layering leaves which are perfect for making various floral arrangements. The set also has three endearing sentiments perfect for projects for your loved ones. We also have a very special Build-A-Flower: Dahlia and Ink Bundle to make it easier for you to start creating beautiful projects. Get the bundle and save 5%! To celebrate this special release, we are giving away a $30 gift certificate to SIX lucky winners! Please leave a comment here on the Altenew Card Blog and/or the Altenew Scrapbook Blog for a chance to win. Six winners will be announced (three on the Card Blog and three on the Scrapbook blog) on March 9th, 2019. We are celebrating this release with a fun blog hop! Some of our talented design team members and special guest designers have created stunning projects to spark your creativity using the new Build-A-Flower: Dahlia. We hope you love what they have come up with! Your next stop is the amazing Norine Borys! Another beautiful flower stamp set! And the dahlia itself comes in so many colors for inspiration! Looks like there is a lot of inspiration along the blog hop! I love all of altenew flower stamps. They are just so beautiful! This one does not disappoint either. Can’t wait to get mine! From So.Cal. USA! Another absolutely stunning floral! The DT projects are gorgeous! I love all the new build a flower stamps! Such a great collection. Such beautiful layering flowers, just in time for Spring. The dahlia is gorgeous. Love all the layers plus the ability to watercolor instead. Love the Dahlia… love the build the flower sets. Another truly beautiful floral set! I’m looking forward to seeing how the team uses it! Wonderful new BAF! I can’t wait to see all the inspiration! Nobody does flowers like Altenew! I love these Build-A-Flower stamp sets and this one is no exception. Lovely cards with this gorgeous set! The dahlia flowers are just beautiful! Awesome new BAF set! Dahlias is one of my favorite flowers! This is a gorgeous design! The dahlias are so beautiful, I would love to try layering stamps. What a beautiful set, L♥VE IT! That Dahlia is beautiful! I can’t wait to see what the designers will do with it. I love this beautiful flower BAF!! The Dahlia is a gorgeous flower to do. I’m looking forward to this blog hop!! Beautiful flower. Can’t wait to use! Lovely release, thanks for sharing! Beautiful! Love the Build-a-Flower sets! This is another one I will need! Such a beautiful set. Pretty Dahlia. Everyone did such an incredible job showcasing this beautiful set. I did not get to visit Joni’s blog. When I clicked on the link there was no post. The last one I saw was from November. Maybe it is just a glitch in my phone? The dahlia is one of my favorite flowers and the projects are absolutely beautiful! I enjoy seeing all of these talented ladies wonderful projects! Wonderful release – I love dahlias and am happy to see this set and thank you so much for another fabulous blog hop. I have truly enjoyed the inspiration from contributions by your bloggers! The Build a Flower sets always make me so happy! Another beautiful floral that I’ll need to add to my stash! I need this stamp and die set, another beautiful creation from altenew. Love these Dahlias, so pretty! These look great with and without the layers. This is such a beautiful set. Altenew has the BEST layering floral stamps around and everything is really amazing quality. Not finished blog hopping yet, but the projects I’ve seen so far are really gorgeous! I love Dahlias, and this set is fabulous! 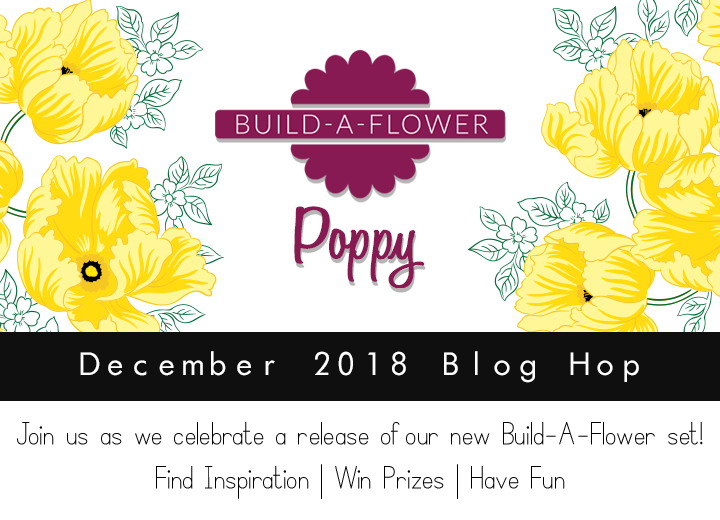 I am so excited I found the monthly Build a Flower!! Cannot wait for the dahlia.